Many federal employees find themselves in the position of a whistleblower, revealing illegal or wasteful practices by the government only to face retaliation for their honesty. The Office of Special Counsel (OSC) has the responsibility to investigate allegations by Federal employees of prohibited personnel practices, especially Whistleblowing activity. OSC has devised a question and answer fact sheet to demonstrate the steps for making a Whistleblower complaint. Congress enacted the Whistleblower Protection Act of 1989 (WPA) to strengthen and improve the level of protection for whistleblowers originally offered under the Civil Service Reform Act of 1978. The Act prohibits reprisals against any federal employee or job applicant who discloses illegal activities or certain wasteful activities. The Act also provides for legal sanctions against federal officials found guilty of violating those prohibitions. The U.S. Office of Special Counsel (OSC) is responsible for investigating and prosecuting instances of reprisal for whistleblowing. Who is covered under the Whistleblower Protection Act? With few exceptions, current employees, former employees, and applicants for employment in any agency of the Executive Branch or Government Printing Office are protected from reprisal for whistleblowing. Current employees, former employees, and applicants for employment in government corporations, the Central Intelligence Agency, Defense Intelligence Agency, National Security Agency or certain other agencies designated by the President, the General Accounting Office, the U.S. Postal Service, the Postal Regulatory Commission (formerly the Postal Rate Commission) and the Federal Bureau of Investigation are not protected. What is a Prohibited Personnel Practice? Under the law, there are twelve prohibited personnel practices, one of which is reprisal for whistleblowing. That is, it is prohibited personnel practice for a federal official to take or threaten to take a personnel action against an employee or applicant because of a protected disclosure made by that individual. The terms "protected disclosure" and "personnel action" are explained below. In general, an employee or applicant makes a protected disclosure when he or she provides information that he or she reasonably believes evidences a violation of law, rule or regulation, gross mismanagment, a gross waste of funds, an abuse of authority, or a substantial and specific danger to the public health or safety. For example, a disclosure about the theft of government property would be considered protected, whereas a mere disagreement over the merits of a bureau reorganization would not normally be considered protected. A personnel action for the purposes of this law includes: an appointment; a promotion; an action under Chapter 75 of Title 5 U.S. Code, such as a suspension, removal, or demotion; a detail, transfer, or reassignment; a reinstatement, a restoration; a reemployment; a performance evaluation; a decision concerning pay, benefits, or awards concerning education or training if the education or training may reasonably be expected to lead to an appointment, promotion, performance evaluation or other personnel action; and any other significant change in duties, responsibilities, or working conditions. What factors does OSC examine to determine whether an employee has been the subject of a personnel action because of whistleblowing? There are a number of factors that OSC examines during its investigations to determine whether an employee has been subjected to reprisal for having made a protected disclosure. To establish a violation before the Merit Systems Protection Board (MSPB), the body that has the authority to order corrective action, OSC must prove that the employee made a protected disclosure and that because of this disclosure an adverse personnel action has been taken. Thus, OSC will look for evidence showing that the employer had knowledge of the protected disclosure and other evidence - even circumstantial evidence - establishing the connection between the disclosure being made and the adverse action being taken. An example of circumstantial evidence would be the closeness in time between the protected activity and the personnel action, or whether the penalty imposed is harsher than discipline imposed against similarly situated agency employees. What happens if OSC concludes that reprisal for whistleblowing occurred? If OSC concludes that a reprisal for whistleblowing has taken place, it will usually first enter into discussions with the agency to obtain corrective action. If the agency head does not take the recommended action after a reasonable period of time, the Special Counsel may request the MSPB to order corrective action. The Special Counsel may also request the MSPB to order disciplinary action against an employee who commits a prohibited personnel practice. What appeal rights exist if OSC concludes that it cannot prove reprisal for whistleblowing? If OSC notifies the employee or applicant that it has terminated the investigation into the allegation of whistleblower reprisal, the complainant has 65 days within which to file a request for corrective action with the MSPB. This procedure, known as an individual right of action (IRA), was provided for by the WPA. Also, if 120 days have elapsed after alleging reprisal for whistleblowing to the Special Counsel, and OSC has not completed its investigation and evaluation of the claim, the employee or applicant has the option of filing an IRA or of awaiting the completion of OSC's work. It is a prohibited personnel practice for an agency to subject you to a personnel action if the action is threatened, proposed, taken or not taken because of whistleblowing activities. Whistleblowing means disclosing information that you reasonably believe is evidence of a violation of any law, rule, or regulation, or gross mismanagement, a gross waster of funds, an abuse of authority, or a substantial and specific danger to public health or safety. You are protected if you make such a disclosure to the Special Counsel, the Inspector General of an agency, or another employee designated by an agency head to receive such disclosures. You are also protected if you make such a disclosure to any other individual or organization (e.g., a congressional committee or the media), provided that the disclosure is not specifically prohibited by law and the information does not have to be kept secret in the interest of national defense or the conduct of foreign affairs. The Civil Service Reform Act of 1978 (CSRA) established both the Merit Systems Protection Board and the Office of Special Counsel. As a Federal employee, you have the right to appeal certain personnel actions taken against you to the Board. If you are subject to a personnel action that you believe is the result of a prohibited personnel practice, you have the right to file a complaint with the Office of Special Counsel and ask the Special Counsel to seek corrective action from the Board. Prior to the Whistleblower Protection Act, a whistleblower could appeal directly to the Board only if the personnel action being appealed came within the Board's jurisdiction. Actions that are directly appealable to the Board include adverse actions, performance-based removals or reductions in grade, denials of within-grade salary increases, reduction-in-force actions, and denials of restoration or reemployment rights. The Special Counsel has jurisdiction over prohibited personnel practice complaints with respect to a broader range of personnel actions, including appointments, promotions, details, transfers, reassignments, and decisions concerning pay, benefits, awards, education, or training. Therefore, a whistleblower could file a complaint with the Special Counsel with respect to most personnel actions allegedly based on whistleblowing. Prior to the WPA, if a whistleblower filed a complaint with the Special Counsel and the Special Counsel did not seek corrective action from the Board, no further recourse was available, unless the action was directly appealable to the Board. With the advent of the Whistleblower Protection Act, a whistleblower gained the right to appeal directly to the Board if he or she first complains to the Special Counsel and the Special Counsel does not seek corrective action on his or her behalf. This right exists with respect to any personnel action that can be the subject of a prohibited personnel practice complaint to the Special Counsel, even though the action may not be directly appealable to the Board. The Whistleblower Protection act does not affect the right of a whistleblower to appeal directly to the Board if he or she is subject to a personnel action that is directly appealable to the Board under any other law, rule, or regulation. On the other hand, a civil servant may still complain initially to the OSC. In whistleblower appeals, the Board must order corrective action if you demonstrate that whistleblowing was a contributing factor in the personnel action threatened, proposed, taken, or not taken against you. You have the burden of proving by a preponderance of the evidence that the whistleblowing was a contributing factor in the personnel action. You may demonstrate that the whistleblowing was a contributing factor through circumstantial evidence, such as evidence that the official taking the action knew about the whistleblowing and that the action occurred within a time-period such that a reasonable person would conclude that the whistleblowing was a contributing factor in the personnel action. The Board will not order corrective action, however, if the agency demonstrates by clear and convincing evidence that it would have taken the same action in the absence of the whistleblowing. The "clear and convincing" standard of proof that the agency must meet is a higher standard than the "preponderance of the evidence" standard that you must meet. If you believe you have been retaliated against for whistleblowing activity, I can guide you through the Office of Special Counsel complaint procedures and, if necessary, represent you before the Merit Systems Protection Board. In the case of whistleblowing, the process involves filing an initial complaint with the Office of Special Counsel (OSC). In the event the OSC rejects the complaint, it then issues an Independent Right of Appeal where the complainant may independantly pursue an appeal to the Merit Systems Protection Board seeking relief. Individual Right of Appeal (IRA) cases involving alleged whistleblowers continue to go to the Board. The current rules for [Merit Systems Protection] Board jurisdiction are an employee must establish by a preponderance of the evidence that (1) he engaged in whistleblower activitiy by disclosing information he reasonably believed evidenced violation of law, rule, or regulation, gross mismanagement, gross waste of funds, abuse of authority, or substantial and specific danger to public health and safety, (2) the agency took or failed to take, or threatened to take or failed to take, a personnel action, as statutorily defined, and (3) he raised the whistleblower issue before the Official (sic) of Special Counsel (OSC) and the proceedings before the OSC have been exhausted. The reasonable belief standard is met if a reasonable person in his position would believe that the condition reported was gross mismanagement, gross waste of funds, abuse of authority or a substantial and specific danger to either public health or safety. If the employee meets his burden that the disclosure was a contributing factor in the personnel action taken against him, the agency to win must prove by clear and convincing evidence it would have taken the same action absent the protested disclosure. These items are the basic framework for analysis in all IRA cases. Paul v. Department of Agriculture, 66 M.S.P.R. 643 (1995). The Reporter, September 1995, Page 25. 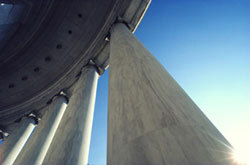 More recent MSPB decisions have increased the burden of proof and made successful whistleblower cases more difficult. ...the MSPB held that, in order to establish that an employee has engaged in whistleblower reprisal, an agency or the Office of Special Counsel must prove: (1) the employee had authority to take, recommend or approve any personnel action; (2) the alleged victime retaliation made a protected disclosure; (3) the employee used his or her authority to take, or refuse to take, a personnel action against the alleged victim; and (4) the action was taken (or failed to be taken) because of the protected disclosure. Furthermore, the MSPB held that, to prove the fourth element, the OSC or the agency must show, by a preponderance of the evidence, that the retaliation was a "significant factor" in the action or actions at issue. The MSPB defined this as a factor that plays an important role in the allegedly retaliatory action as opposed to a tangentially related motive. It held that the significant factor test was not met if the respondent would have taken the action in the absence of a protected disclosure. In order to prove the significant factor requirement, the MSPB held that the OSC or the agency must show that nonretaliatory motives would have been insufficient, in the absence of retaliatory motives, to cause the action to occur. This is a substantial departure from prior case law, which had required merely a showing that retaliation had "contributed" to the decision to take (or fail to take) a personnel action. These cases had required the employee to prove, by clear and convincing evidence, that he or she would have taken (or failed to take) the personnel action in the absence of a retaliatory motive. Now, this is no longer an affirmative defense, but is part of the OSC's or agency burden. Other adverse personnel actions may be appealed to the Board in similar fashion.